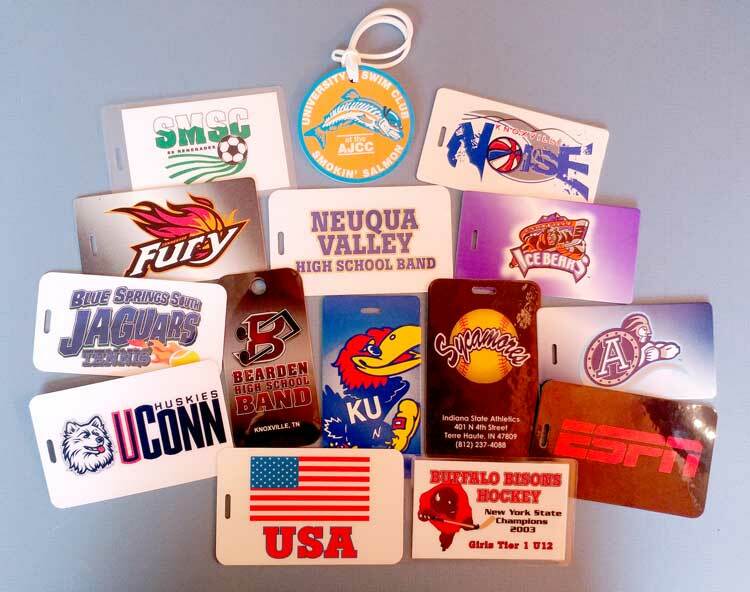 World Travel Tags has been specializing in sports team custom identity products for 20 years. Our clients range from local kids league teams, schools and universities to professional teams such as the New York Knicks. information to be printed on side 2. • Tee shirts, caps, water bottles, backpacks, key tags plus a variety of other items. • We can use an existing logo or design one for you. • Locally owned in Knoxville with close proximity to RTSW in Gatlinburg.